Triaged 234 public security vulnerability reports, retaining the 109 that applied to Ubuntu. 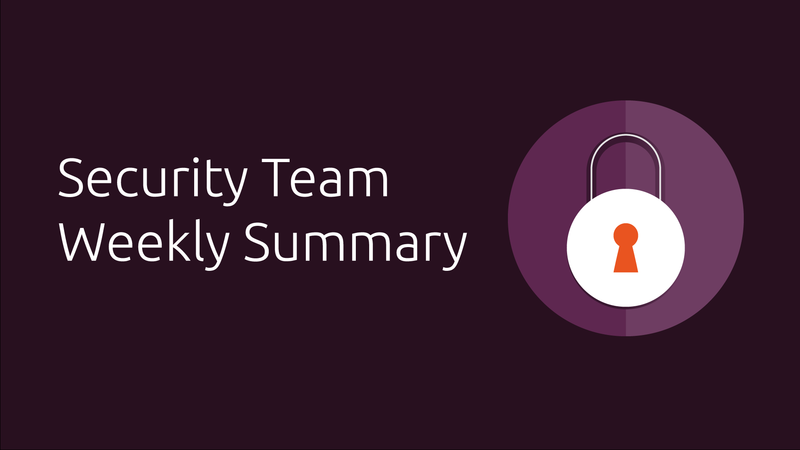 Published 6 Ubuntu Security Notices which fixed 15 security issues (CVEs) across 5 supported packages. Updates for WordPress are available in the security-proposed PPA and are just waiting for some testing before being published. Jump into #ubuntu-hardened on Freenode and ping the security team member on community duty if you are interested in helping test this community supported package.